World No2 Rafael Nadal, who played doubles with Roger Federer for the first time in their careers at the debut Laver Cup in 2017, will return to the tournament in 2019 when it is played on Federer’s home soil: Geneva, Switzerland. Nadal and Federer, who shared the No1 ranking for the first 10 months of 2018 and extended their places at the top of the Grand Slam honours board with a 17th and 20th Major victory respectively, will bring their tennis weight and star appeal to a formidable Europe team that remains unbeaten in the two previous Laver Cups. “It doesn’t get much better for a captain than naming both Roger Federer and Rafael Nadal for the Laver Cup in Geneva. “Bringing together two of the greatest players and rivals the sport has ever seen together on one team is very exciting for our sport—and will give us the best possible chance to win the Laver Cup three years in a row. 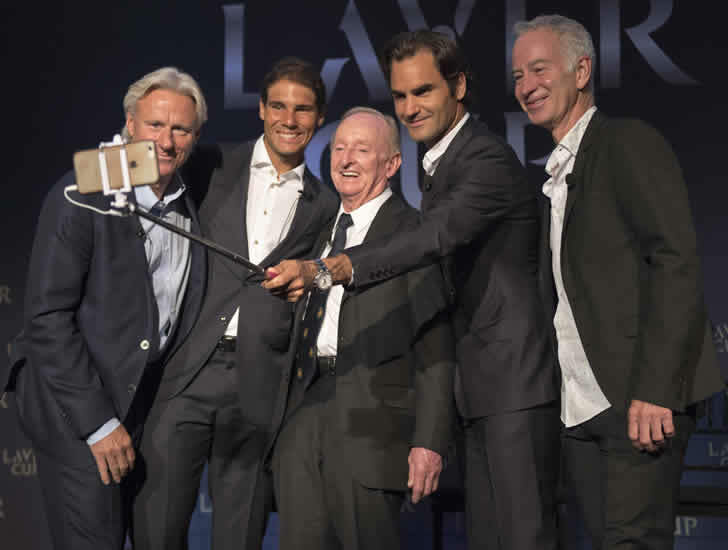 “At the first Laver Cup in Prague, with both Roger and Rafa on the team, we knew it would be very special, bringing together two such great champions. But I think we all underestimated how powerful it would be to see them sitting side by side, coaching each other, and cheering each other on, along with their teammates from the player bench. “I am so happy the Laver Cup is coming to Switzerland. I would like to thank the city of Geneva and the Laver Cup team who made this dream come true. The three-day tournament pits six of the top male tennis players from Europe, captained by Borg, against six of their counterparts from the rest of the world, led by John McEnroe, from 20-22 September 2019. After sold-out events in both Prague and Chicago, the 2019 edition will be played in a specially-constructed 17,000-seat arena at the Palexpo in Geneva on the now signature black court. Premium hospitality ticket packages are now on sale, and general tickets will then be available in early February, including multi-session tickets offering the same seat to all five sessions, single session tickets, and a variety of hospitality experiences.